EpicTV is proud to present our 2016 sponsored athletes. After the success of our 2015 team of three climbers, we have decided to expand, sponsoring four athletes for 2016. 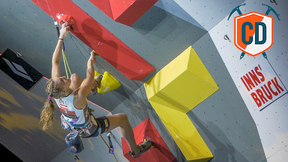 We have chosen four very different athletes to represent the facets of climbing that we are most involved with. They are the sport climbing ace and full-time dirtbag Jonathan Siegrist, up-and-coming Italian climber Stefano Ghisolfi, the beast himself, Adam Ondra, and the king of insane training videos, Magnus Midtbo. 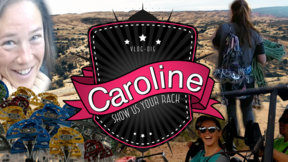 EpicTV is proud the present our 2015 climbing team. 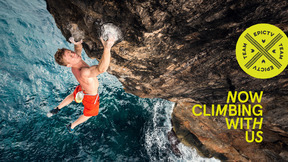 After working closely with climbing for three years and having an office full of climbers and alpinists, we decided it was time to put more into the sport and lifestyle by sponsoring some of its brightest stars We have chosen three very different athletes to represent the facets of climbing that we are most involved with. They are the sport climbing ace and full time dirt bag Jonathan, Siegrist, the queen of trad, Hazel Findlay and the beast himself, Adam Ondra. We are proud and honored to have these 3 climbers in our EpicTV Shop Climbing team and we are looking forward following and broadcasting their adventures in 2015.